Over the last two months, Shakhtar produced an impressive unbeaten run, claiming six wins in seven games and continuing to top the league (35 points, goal difference 39-7). Besides, the Orange-and-Blacks have kept clean sheets in six consecutive games. In the previous round, they did not allow Oleksandriya to score, claiming a narrow away win (1-0). The winning goal was scored by Mykyta Adamenko, who currently boasts 10 goals and the top line on the U19 league top scorers list. Valeriy Kryventsov’s charges filled a two-week break with training and a friendly with Olimpik Donetsk, with five Pitmen being capped by Ukraine U21 team for a friendly against Belarus. 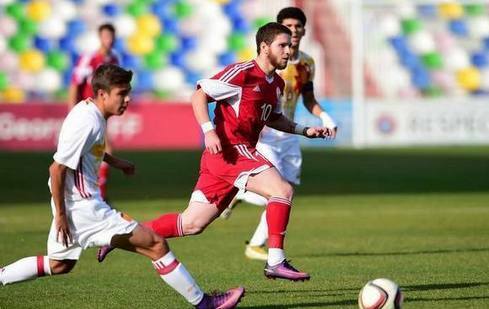 Besides, Shakhtar midfielder Giorgi Arabidze not only made two appearances for Georgia U19, but also got onto the Georgia player list for a game vs Moldova. However, the 18-year-old player has not had his senior debut yet. In the game against Karpaty, the ill Pikhalyonok and the injured Trescheiko, Ichuaidze and Arendaruk will not appear. None of the Donetsk players will miss the meeting due to suspension. Karpaty have had a strong season after 14 rounds, sitting in the 4th spot in the table (24 points, goal difference 20-18). They are unlikely to take part in the title race, but challenging for the third place is quite realistic. Interestingly, the Lviv side claimed more points away (13 against 11 home points). Although, victory in the last match was achieved at home. Through a goal by Strashkevych, Karpaty beat Vorskla (1-0). Karpaty’s top goalscorer this season is Vadym Strashkevych and captain Volodymyr Savoshko, who scored four goals each. The latter will not appear in the game vs Shakhtar due to excessive yellow cards. In the U21 and U19 leagues, Shakhtar and Karpaty have met 21 times. The Pitmen claimed nine wins, the Lviv side had seven wins, with five draws. Goal difference is 44-30 in favour of the Orange-and-Blacks. In the first-half-of-season game, which took place in Lviv on August 11, there was no winner. The Donetsk got off to a busier start, but they were the first to concede a goal: on 21 minutes, Volodymyr Savoshko converted a spot kick. Until the end of the game, Shakhtar bossed it and created numerous scoring chances, managing to score only one goal, with Mykyta Adamenko netting one on 78 minutes. The outcome is a 1-1 stalemate. Shakhtar have kept clean sheets in the last six games. The clean-sheet run has lasted for 540 minutes.